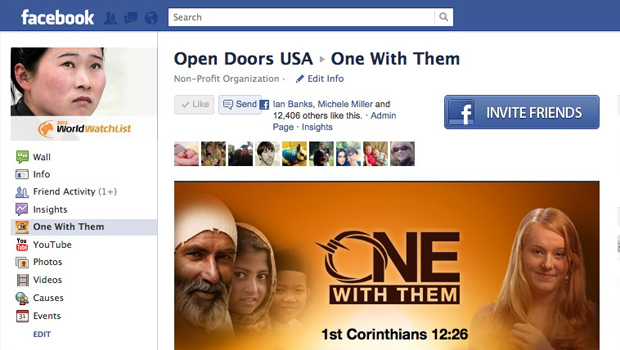 Project Details: This facebook app was created to facilitate the Open Doors ONE WITH THEM campaign website as well as gather more followers to the Open Doors USA fan page. The app mimicked the main website and allowed users to order wristbands and donate. Design/Development: The ONE WITH THEM website was modified to fit within the Facebook Fan Page canvas. Many features of the main website were removed due to the differences in audience. Website Features: Custom social media links, sign up forms, donation API.